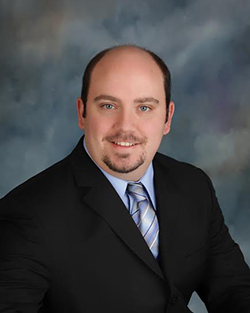 Dr. Cory was born and raised in Lake Arthur, LA and attended Lake Arthur High School. He graduated valedictorian of his senior class in 2002. Dr. Cory then attended the University of Louisiana at Lafayette where he majored in Biology. While attending college, he began suffering from intense migraine headaches after an automobile accident. After many doctor visits and countless sleepless nights, he decided to receive treatment from a chiropractor. After a complete treatment plan, Dr. Cory was shocked at the results. Not only did his migraines stop but he was able to sleep better too! It was through this experience that he decided to enroll in chiropractic school. Dr. Cory graduated ULL in 2006 with a Bachelor’s of Science Degree and attended chiropractic school at Texas Chiropractic College in Pasadena, TX. Following graduation in 2010, Dr. Cory accepted an invitation at Chiropractic Health Solutions in Berea, KY to open and run a new chiropractic office as an associate in the small town of McKee, KY. In the summer of 2012, Dr. Cory joined with Dr. Cindy Harden to open Bayou ChiroCare in Kinder, LA. After three successful years, he wanted to open another office closer to home to be able to give back to his “home” community. Dr. Cory has been trained in Kinesiotaping protocols for sports and other common injuries as well as Active Release Technique (ART) for muscle tension. He wishes to take his abilities and apply it to treating the whole family and sport related injuries.